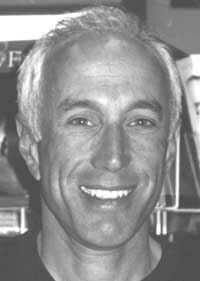 Steve Horowitz, 66, died June 21, 2011, in Ketchum, Idaho. At a Sunday memorial service, friends and family remembered Steve for his capacity to savor life, strike out on adventures and remain true to his convictions. He was known for his love of the sea and mountains, air and water, big ideas and small-time ranchers. Creative and self-taught in several professions, his greatest love was sharing an abundant life with his wife and children. Steve and his identical twin brother, Marty, were born to Mildred and Bill Horowitz in New York City on June 8, l945, and lived there before moving to Miami Beach, Fla., in l955, as their father's clothing business grew. At the University of Florida, Steve majored in political science and began to express his passion for peace and justice. He actively opposed the war in Vietnam and served as a medic to protesters during the l968 Democratic Convention. He studied for a year in Grenoble, France, and lived for another year in Morocco before graduating in 1967. Always close, Steve and Marty moved to Aspen together in 1969 after Steve, experiencing mountains for the first time, told Marty he had to come out immediately. There Steve worked on the mountain and in restaurants and made stained-glass windows, and he and Marty became builders. To benefit working people, Steve started and ran a food cooperative. He also began to write screenplays, which prompted him to move to Los Angeles in l983. While his screenplays did not sell, it was there that he met and married Marilee Eckel, their daughter Grace was born, he took up sailing and created Andiamo, a line of clothing for bikers. In l986, the couple moved to Ketchum and Andiamo took off, becoming the first company to market padded cycling underwear. At various other times, Horowitz made a living importing bicycles and building websites, and as a builder, executive search professional and ski instructor. Active in civic affairs from his early days in Ketchum, he once headed the city's parking committee, ran for mayor, was an early advocate for employee housing and strenuously opposed nuclear waste storage in the Idaho desert. He once sailed a small craft around the Cape of Good Hope. He was a kayaker, an experienced, adventuresome pilot, a long-distance biker, a skate skier and a consummate inventor—for example, patenting a quick-release kayak spray skirt. After a divorce, Steve and Lisa Majdiak were married on July 17, l999. In 2002, two weeks after the birth of twins Jack and Kate, they moved to a ranch near Choteau, Mont., on the Rocky Mountain Front. There Steve was employed by the local business community to create new businesses and jobs (including on the Blackfoot Reservation) and entered fully into the life of a small ranching community. In 2005, they moved to Whitefish, Mont., where Steve designed websites, before returning to Ketchum in 2007, where Lisa became the city's assistant city manager for development and planning. In the summer of 2009, Steve was diagnosed with cancer, yet refused to let it dominate his life. For example, in 2010 he recertified and went back to his love of teaching skiing for Sun Valley. On Sunday, many remembered how he helped others with cancer, more concerned for them than himself, and inspired friends and family with his honesty and thriving capacity to love. Steve is survived by his wife, Lisa, and his children, Jamiel Stratos of Fairfax, Va., Grace Horowitz of Boulder, Colo., and Jack and Kate Horowitz; his sister, Satsimran Kaur of Los Angeles; and his brother, Marty Horowitz, of Aspen, Colo. Friends are encouraged to donate to a fund established at the Ketchum branch of US Bank for the education of Jack and Kate.